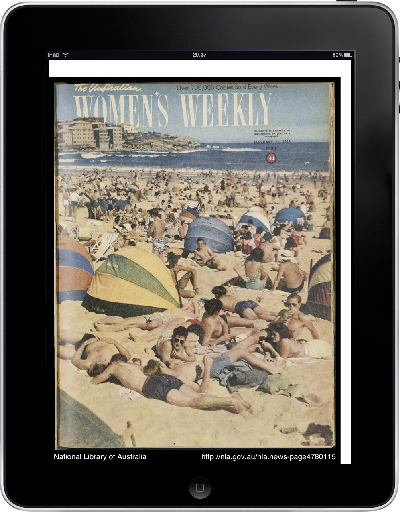 Yesterday the National Library of Australia launched fully searchable digitsed versions of the Australian Women’s Weekly. 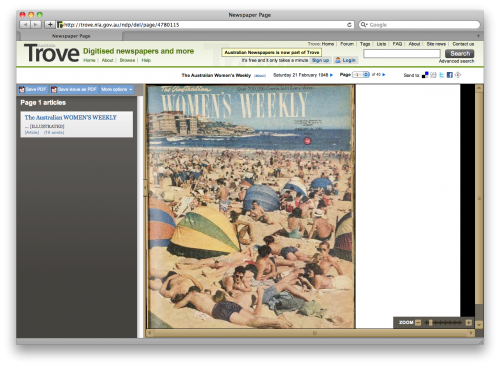 It’s a fantastic resource for searching, but I find the interface a little time consuming for just browsing through issues & looking at the stories, images and advertisements. Luckily there is a very simple alternative. Step 1. When you are viewing an issue there is an option to download the issue as a PDF. Step 2: Once the PDF has downloaded drag it to iTunes so it is added to your books (of course you can edit the metadata to something more appropriate than the blank default version). 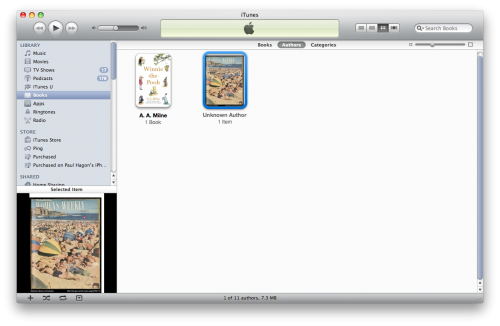 Step 3: Sync your iPad with iTunes & now you have a copy of the issues in iBooks on your iPad (or iPhone). A much nicer browsing experience. You can swipe from left to right to change pages and pinch to zoom in and out using all those lovely interactions we’ve become so used to. It feels like a bit of a hack, but if the option is there to do it, and if it’s so easy to do, why not.